Hi, Xiaomi Released Nougat Rom for Mi Max 2. This is a MIUI 9.0.1.0 Global Stable for Xiaomi Mi Max 2 and here is an easy and safe tutorial for install new update Xiaomi Mi Max 2 MIUI 9.0.1.0 Global Stable Rom. Xiaomi Mi Max 2 is a Smartphone phone which is available in Dual SIM with 6.44 inch display. Xiaomi Mi Max 2 has a 12 megapixel camera, 5 megapixel secondary cameras and runs a Qualcomm MSM8953 Snapdragon 625 chipset. New – Deep-level system optimizations (08-07). New – New icons (08-07). New – New animations for launching and exiting apps (08-07). New – Simpler Home screen editing (08-07). New – Introducing Split screen (08-07). New – Improved Silent mode triggered by the volume button (08-07). New – Improved readability for the start page of Messaging (08-07). New – Reading mode can turn on and off at sunset and sunrise automatically (05-03). New – Improved layout and readability for search results in Contacts (06-29). New – Virus scans and payment scans were merged into Security scan (06-29). New – Better blocklist rules with the possibility of separated rules for every SIM card (07-10). New – Switch for turning Battery saver automatically when charged (07-19). New – New display formats for update logs in Updater (07-25). New – Search for apps in the Dual apps settings (08-03). New – Mi Picks gets a new name and a new icon! Meet Apps! (08-21). New – Quick ball goes back to the edge after 3 seconds of inactivity (08-30). Optimization – Cleaner removes empty folders better now (07-10). Optimization – Protection from unintentional tapping for Dial pad (08-08). Optimization – Redesigned home page (08-24). 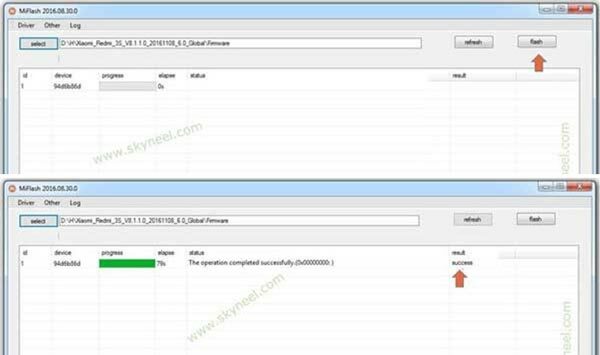 Optimization – Devices with rare Bluetooth profiles are hidden in the device list (08-29). 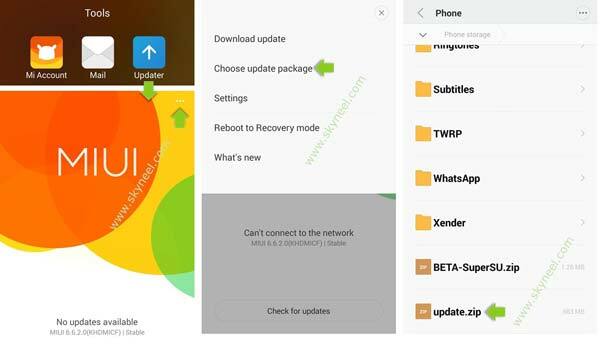 Step 1: Download MIUI 9 zip file and rename this zip file as “update.zip” like miui_MIMAX2Global_V9.0.1.0.NDDMIED_cbeff0a680_7.1.zip to update.zip. Step 4: Now your phone is going to Reboot in recovery mode and Rom flashing process start. Don’t interrupt this process, it might to take 4-6 minutes for your phone to first boot on MIUI 9.0.1.0 Global Stable Rom. 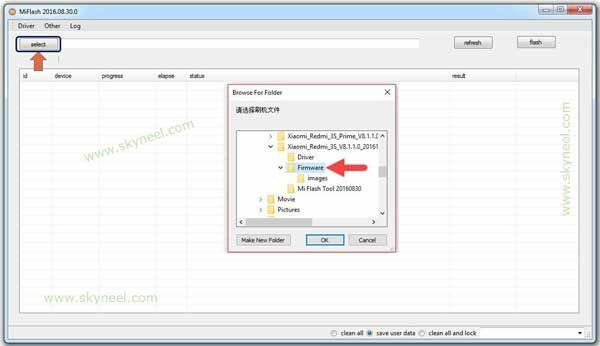 Step 1: Download and install Mi Flash Tool and download Xiaomi Mi Max 2 MIUI 9.0.1.0 FastBoot stable Rom and extract zip or rar file in desktop on your PC. Now Power Off your device and long press volume down and power button to FastBoot mode. See in this image. After install new update Xiaomi Mi Max 2 MIUI 9.0.1.0 Global Stable Rom, you can root your phone because root allows you to use a maximum of your phone without any restrictions. After root you will install custom apps, Rom and custom setting in your phone. But first read Root Advantage and Disadvantage by this article. I hope you like this new update Xiaomi Mi Max 2 MIUI 9.0.1.0 Global Stable Rom installation guide from which you will be able to easily install new update Xiaomi Mi Max 2 MIUI 9.0.1.0 Global stable Rom without any extra efforts. If feel any problem in this guide then please use comment box. Thanks to all.